sunt : Lightning, Hawk, Power Edition si Twin Frozr . Raspuns 2: Lightning, Hawk, Power Edition ,Twin Frozr. 2. Lightning, Hawk, Power Edition si Twin Froz. Ghimpu Matei – concursul s-a incheiat astazi la ora 12:00. Vineri anuntam castigatorul. 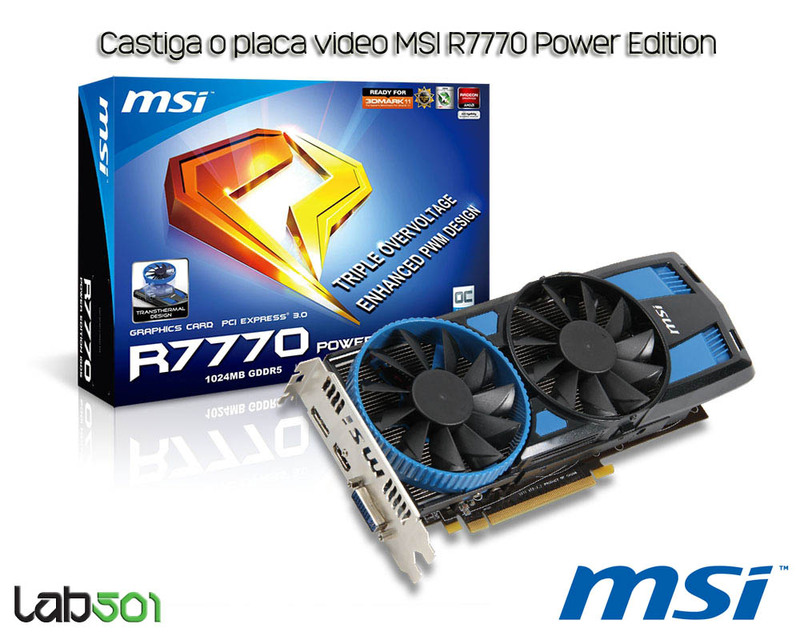 1)GPU-ul MSI R7770 Power Edition 1100MHz ! 2)Seriile… Lightning, Hawk, Power Edition si Twin Frozr !